There is no clear answer to the question of how much water you need to drink every day, because it depends on a number of factors (the state of your health, your activity, etc.). Usually every day we tend to lose a lot of water through sweating, breathing and urinating. As a consequence, there is a need to consume more water to make up for the losses. It is not entirely wise to drink water just to quench your thirst, you should take the habit of drinking water at regular intervals throughout the day. 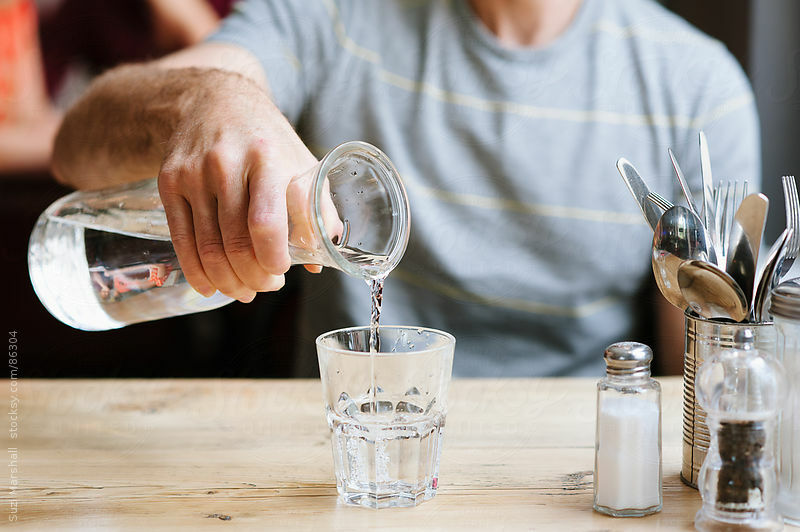 The food contains about 20% of your total water consumption, but in addition it is also recommended to drink about 8 glasses of water every day. Your water consumption also depends on the place in which you live, and the climatic conditions in it. In hot, humid weather, it becomes necessary to consume extra water, because a large amount of water is lost through sweating, which increases the risk of dehydration. In the cold season or at high altitudes, urination occurs more often, which also leads to a loss of a large amount of fluid in the body. The state of health in turn also affects the level of water consumption. In case you suffer from health problems such as fever, fever, vomiting, or diarrhea, this results in excessive fluid loss by the body. Pregnant women should also drink more water, because they have a higher risk of getting dehydrated. Therefore, drink more often during the day to keep fit and be healthy. You can manage for several weeks without food, but you can not last more than a few days without water. Water is the most important nutrient for life. Continue Reading: Hydration: How much and what is recommended to drink? Force loads cause water loss through sweating. You can prevent dehydration by drinking enough water after exercise. Your muscles need water to recover from the force. If you do not drink enough water, then you will limit the growth of the musculature. You need to consume about 25 grams of fiber per day for optimal digestion, but since fiber needs a connection with water, it will be useless if you do not drink enough water. An empty stomach makes you think that you are hungry. Drinking water can fill your stomach and make you feel less hungry. Clean drinking water regulates the temperature of your body, prevents kidney stones, improves skin condition, facilitates the work of joints, etc. No wonder they say that water is the source of life, the existence of all life on our planet depends on water. Pay proper attention to this component of your life, and it will surely become even better. Filtered water has numerous proven health benefits of tap water. UKh20 offer a great range of filtered water taps to suit your needs.